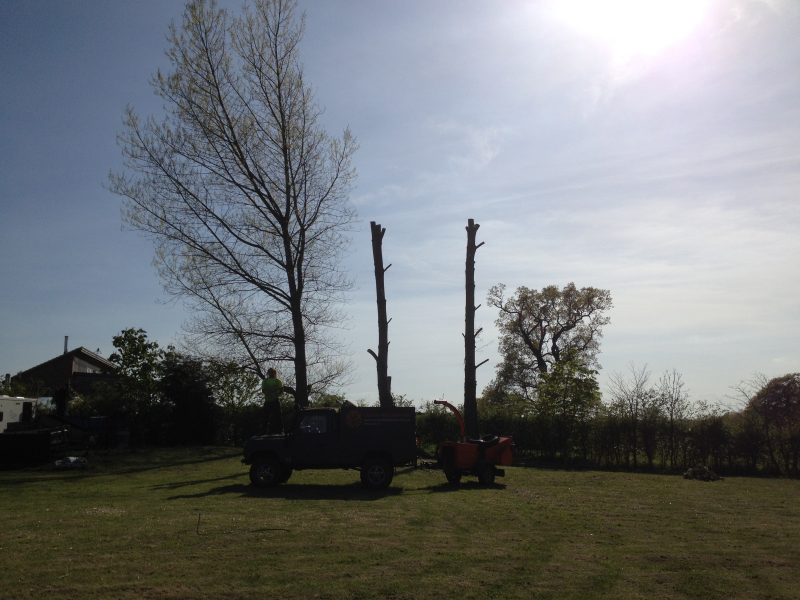 Crown Tree Services offers a broad range of tree surgery needs in Norfolk. 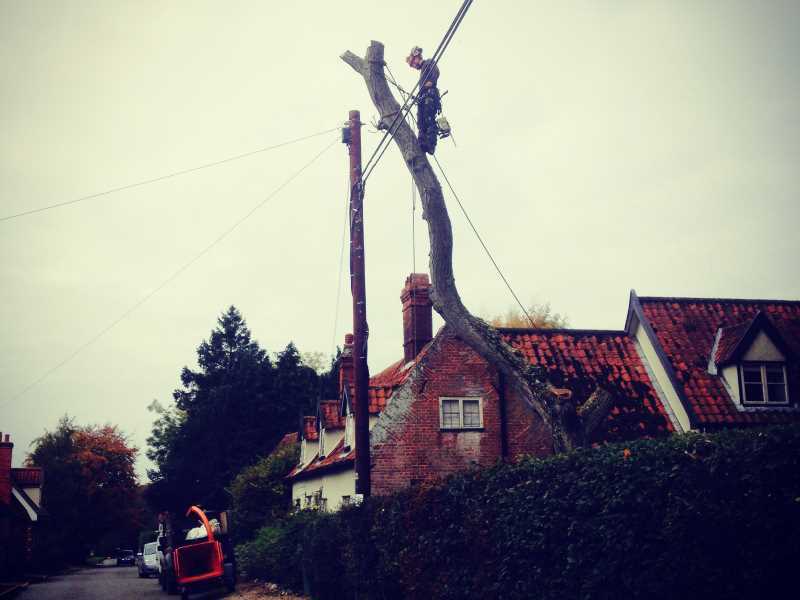 Based in Norwich, but able to undertake tree work across the county and beyond, we aim to provide an efficient and all-encompassing service. We take pride in every job from start to finish and can deal with all aspects from planning applications to pest and disease diagnosis, including all physical and logistics aspects of the job. 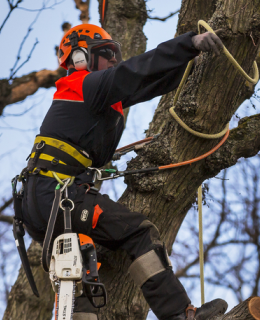 We enjoy working alongside our customers, sharing our skills, expertise and knowledge, to achieve a result which meets approved arboriculture standards and results in complete customer satisfaction. 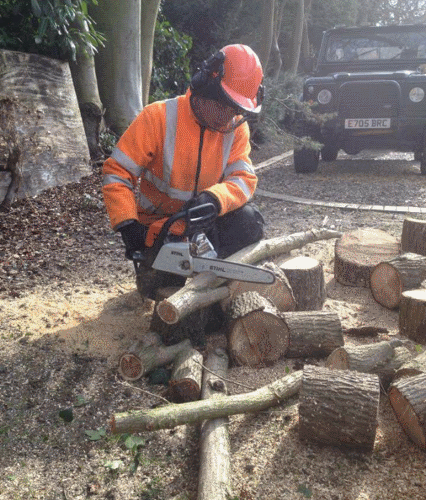 Our team are experienced and qualified NPTC operatives and have Level 3 National Diplomas in Arboriculture and Horticulture. 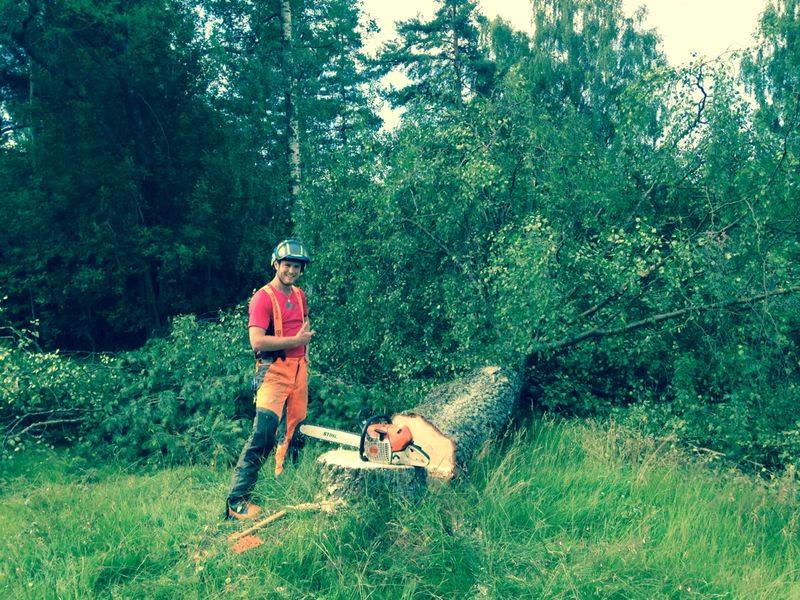 Between us we have gained valuable experience working with large tree specialists in Sweden and the UK. 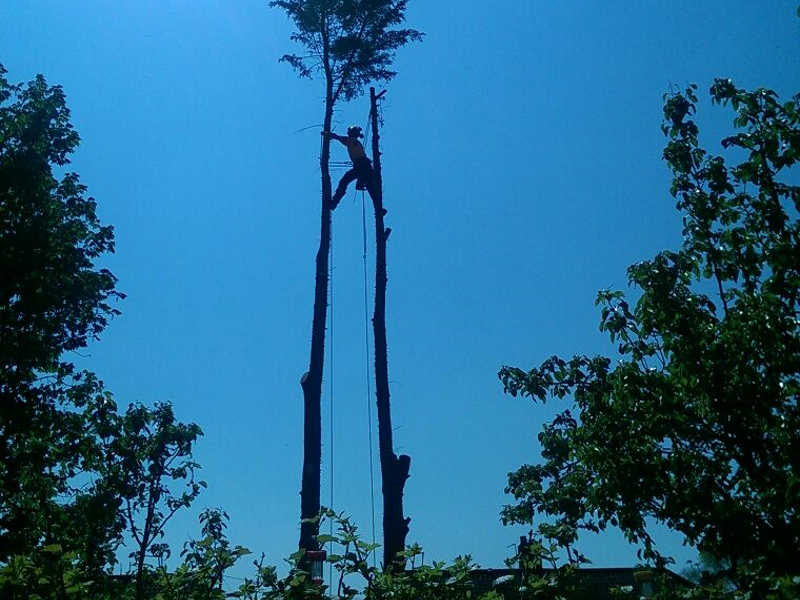 Our day-to-day work comprises of tree maintenance/removal, garden maintenance, commercial projects and highway work. 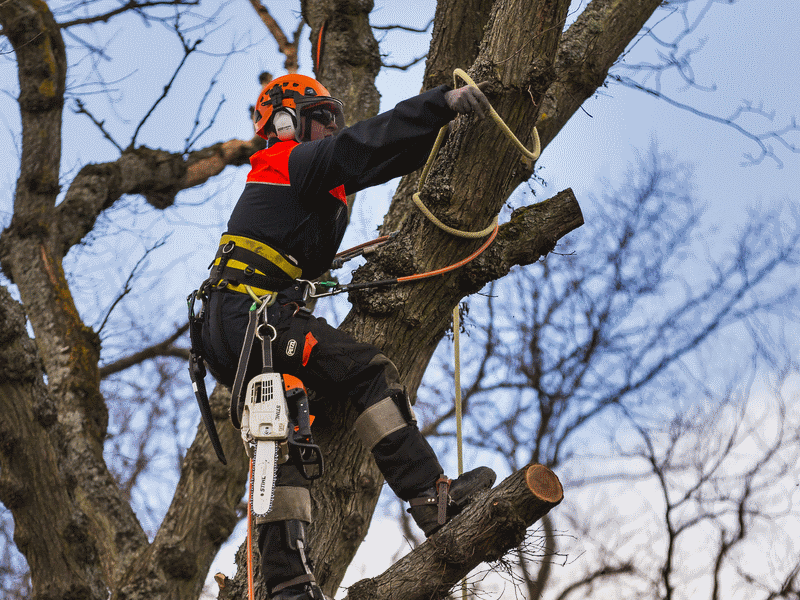 We are fully insured and all of our work is carried out in accordance with the British Standard recommendations for tree work (BS3998:2010). 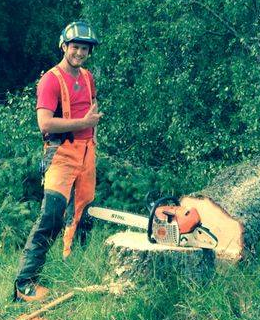 Click on the Facebook icon to receive regular updates and blogs on work and tree related articles! 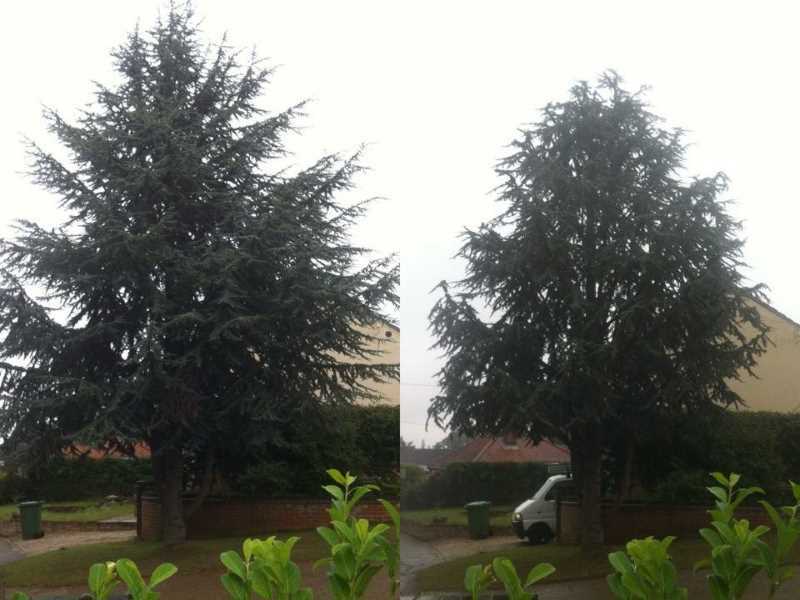 We cover most areas of Norfolk and frequently work in Brundall, Strumpshaw, Blofield, Plumstead, Acle, Wroxham, Beccles, Salhouse, North Walsham, Aylsham, Long Stratton, Kings Lynn, Gt Yarmouth. 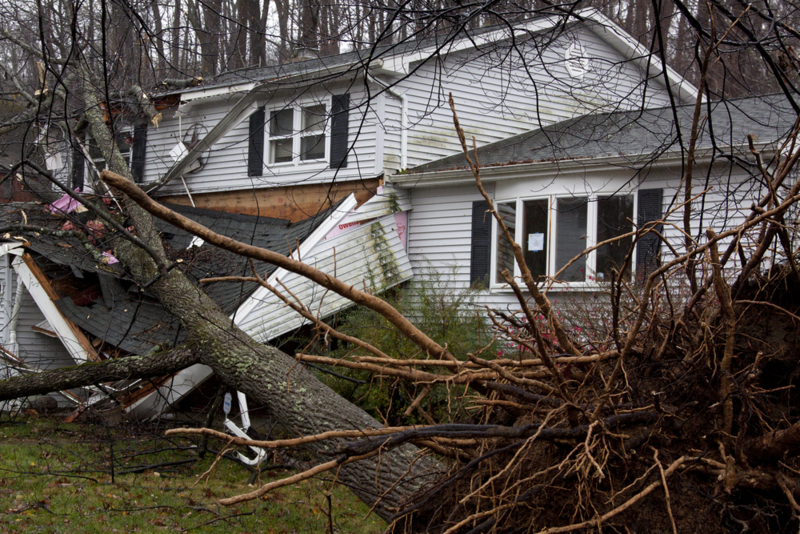 We always like to prevent the complete removal of trees through remedial work or sustainable management; however, sometimes it is a necessity to fell due to the ill health of a tree, to prevent conflict or the spread of pest and disease with other trees, or to make way for building and development. 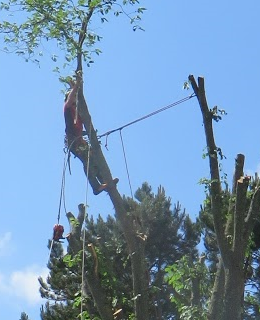 Quite often hazardous trees cannot be felled and must be carefully dismantled by climbing with a rope and harness or via mobile access platforms. 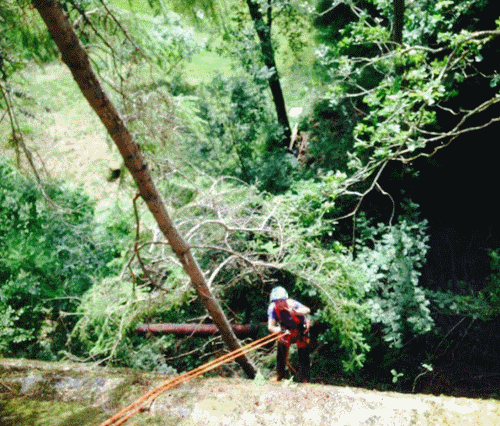 Our team are experienced in using rigging and handling techniques to safely lower sections in confined spaces to avoid damage to the surroundings. 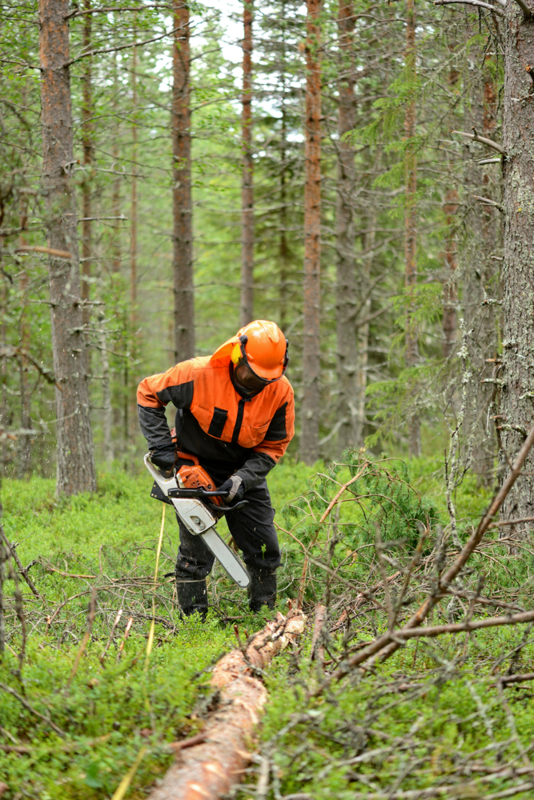 There are a variety of methods to improve the overall function, aesthetics and long-term health of a tree through a variety of pruning techniques. 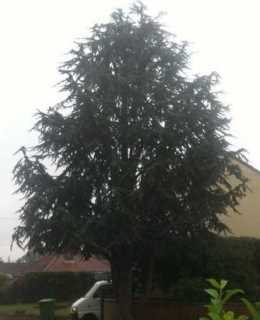 With most species of tree, a maximum of 30% of the crown can be removed before starting to threaten its health. 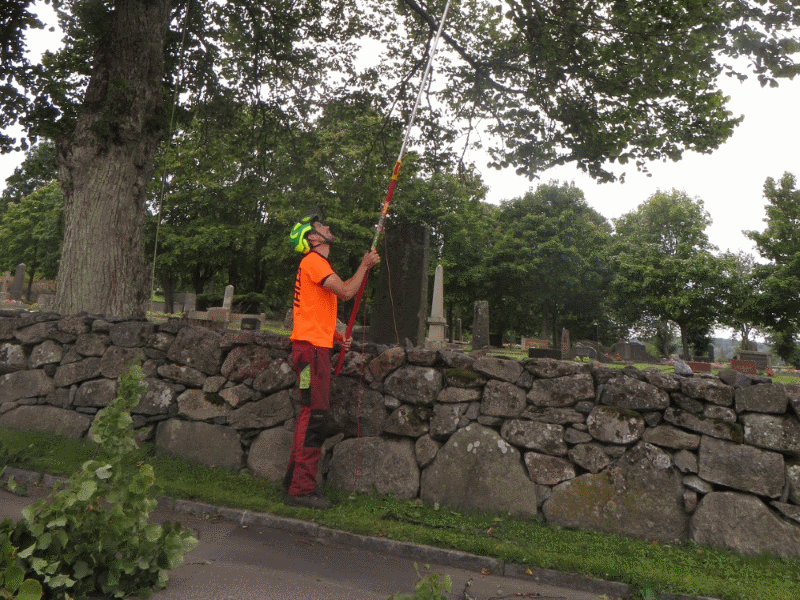 Crown thinning: Reducing the density of the crown, usually to reduce the impact of high winds on a tree or to allow more light to pass through. 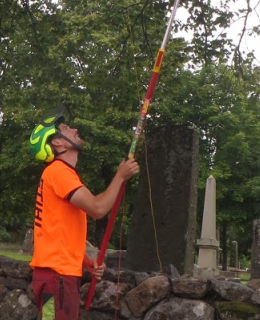 Crown lifting: Raising the overall height of a crown, often carried out to prevent conflict with human activity or to create a stronger structure for younger trees. 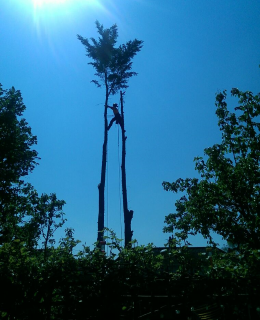 Crown reduction: Reducing the overall spread of the crown, this is a very important method of tree care which can prevent medium to large trees from growing too large for their surroundings. 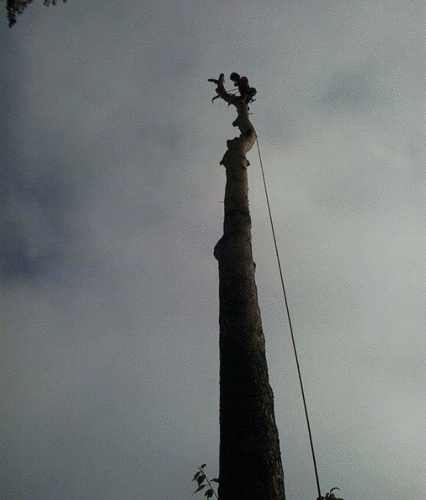 Crown reduction also alleviates mechanical stress on the tree by reducing its leverage and sail area. 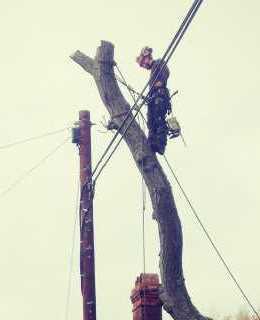 Deadwooding: Removing any deadwood, which could cause damage to its surroundings upon falling. 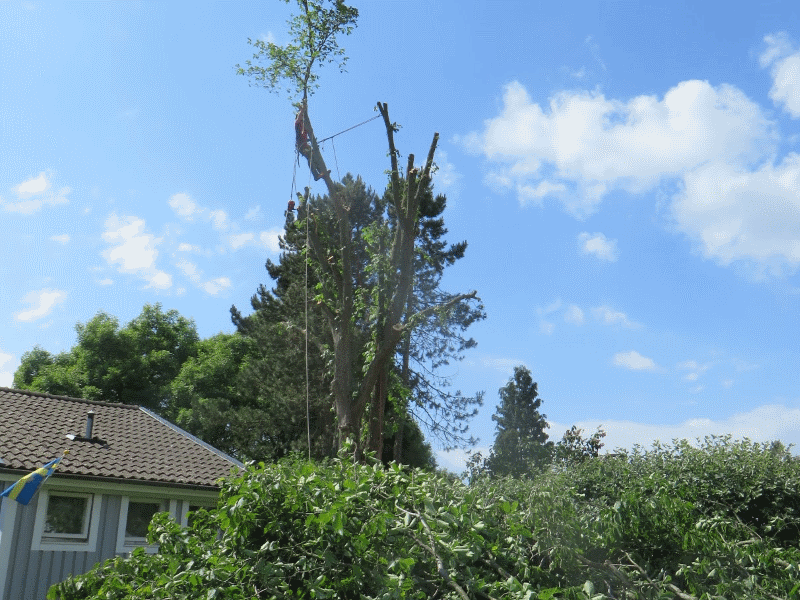 Our team are highly experienced in dealing with windblown and hazardous trees and we endeavour to respond to emergency call outs within 2 hours. 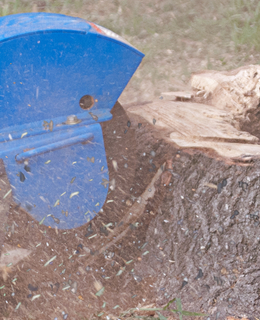 We provide mixed softwood and hardwood, all seasoned and ready to burn. 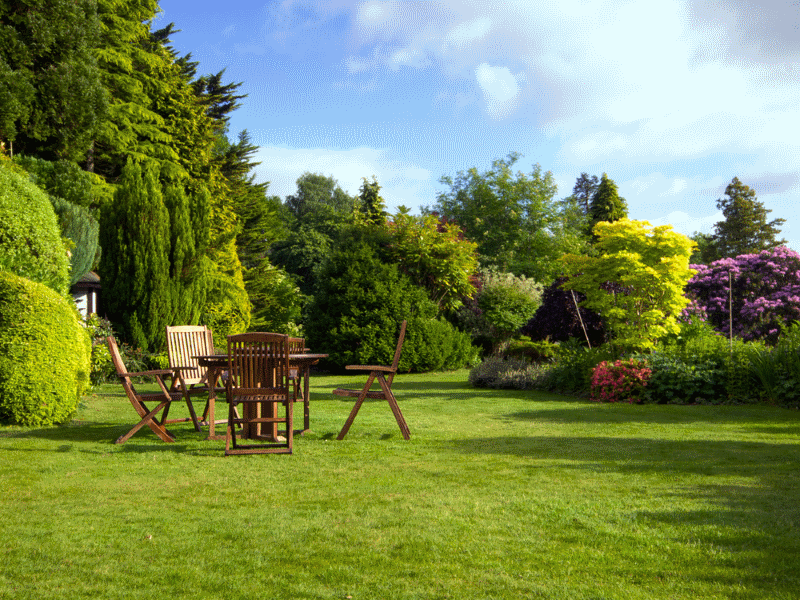 We are able to deliver within a 10-mile radius of Blofield at no extra cost. 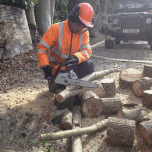 We will deliver across Norfolk for a small fee, please get in touch for a quotation. 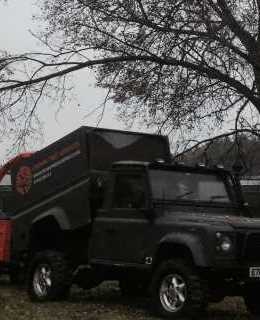 Prices: £110 per 2.5 cubic meter truckload. Please send us a message leaving your address in our contact us section to place an order. 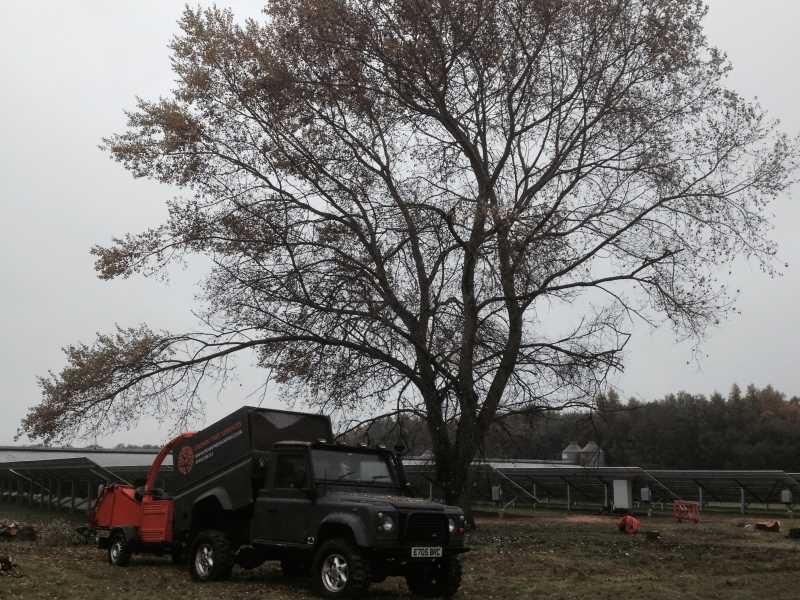 Re-planting is vital for sustainable tree management and as a company we like to encourage replacement planting. 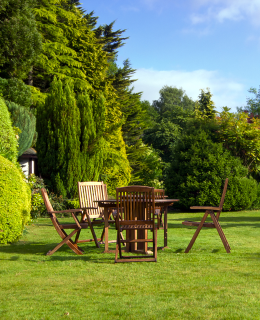 With our knowledge of trees, we can help guide you towards appropriate selection of species and location to achieve anything from visually pleasing garden plantings to functional hedgerows. 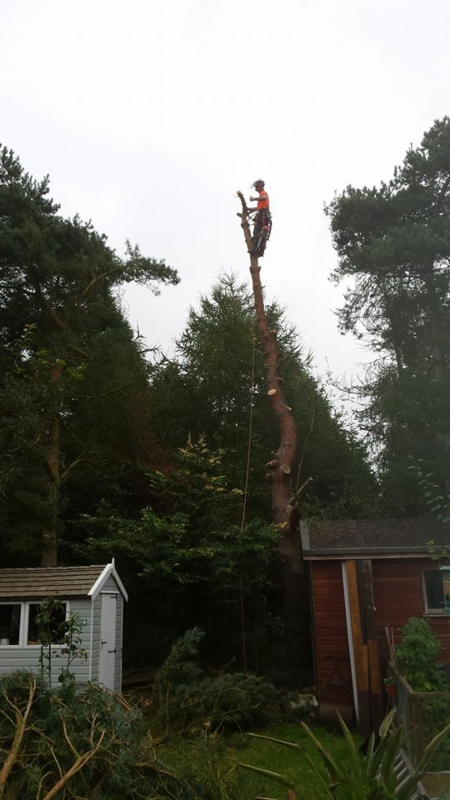 This was a dismantle of two large conifers in a small garden. 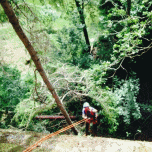 The trees had to taken in small managable sections due to the size of the drop zone. 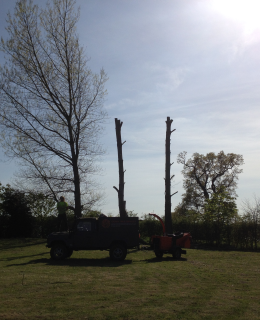 These three Poplars are being 'pollarded' to a safe height due to cavities in the trunk. 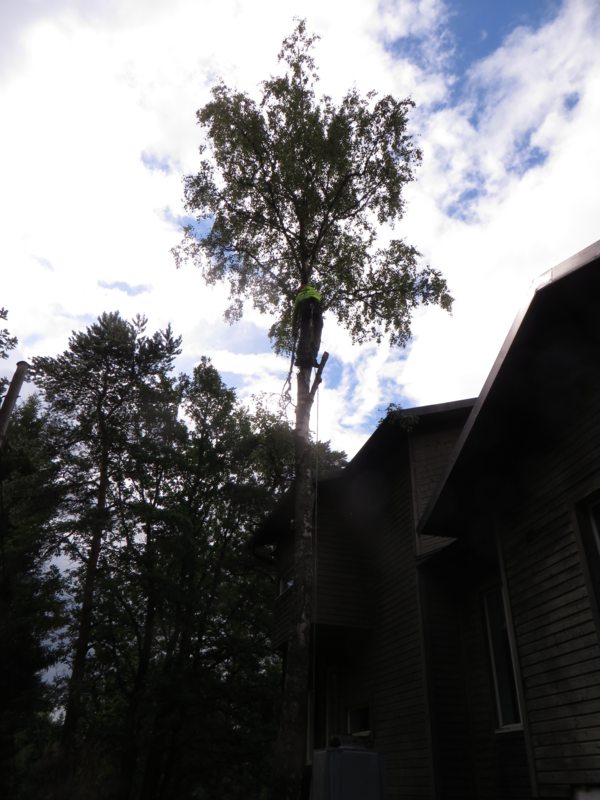 This method allows the trees to grow back and remain safe. Finished article of a private planting job in which we used a variety of conifer hedging, hardy shrubs and flowering deciduous trees. 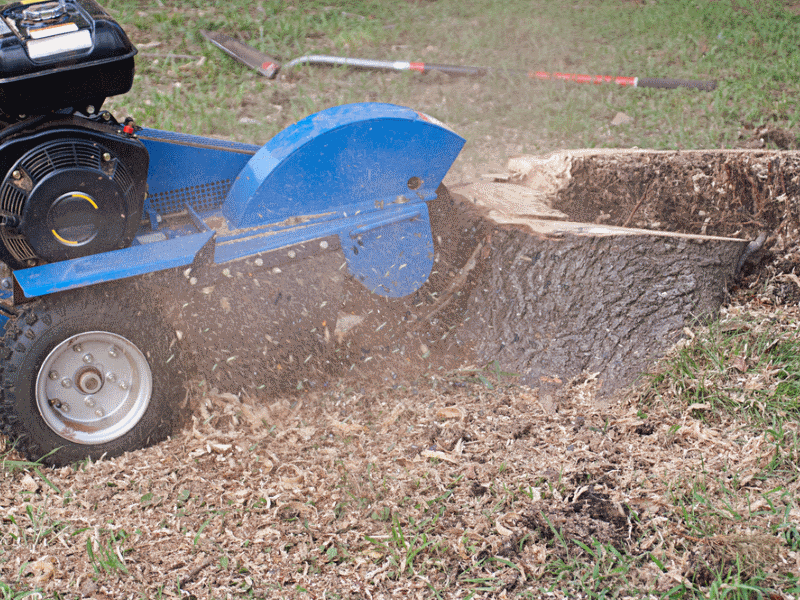 I would like to thank Crown Tree Services for their exceptional service. Not only were they attentive to our requirements, they were highly respectful of our surrounding neighbours. I will not hesitate to recommend them in the future to family and friends. 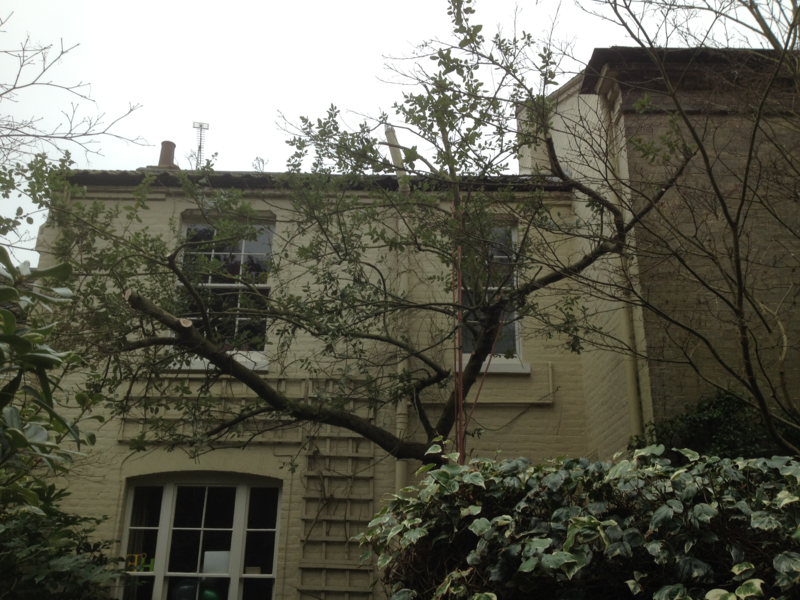 Crown tree services pruned 3 huge beech trees in my rear garden. The work was carried out over a couple of days, they were tidy and did a great job! 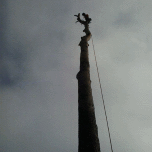 Crown Tree Services trimmed our large Eucalyptus tree and made a wonderful job and at a good price. Nothing was too much trouble and while they were working they made sure we were happy with what they was doing. Highly recommended. A great job done, there is so much light under the Ceonothus canopy now, perfect! 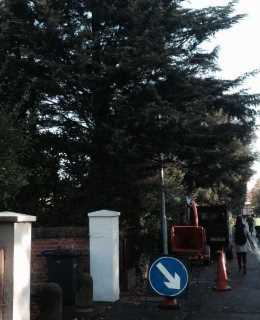 I called Crown Tree Services after the wind blew down a tree in my garden. 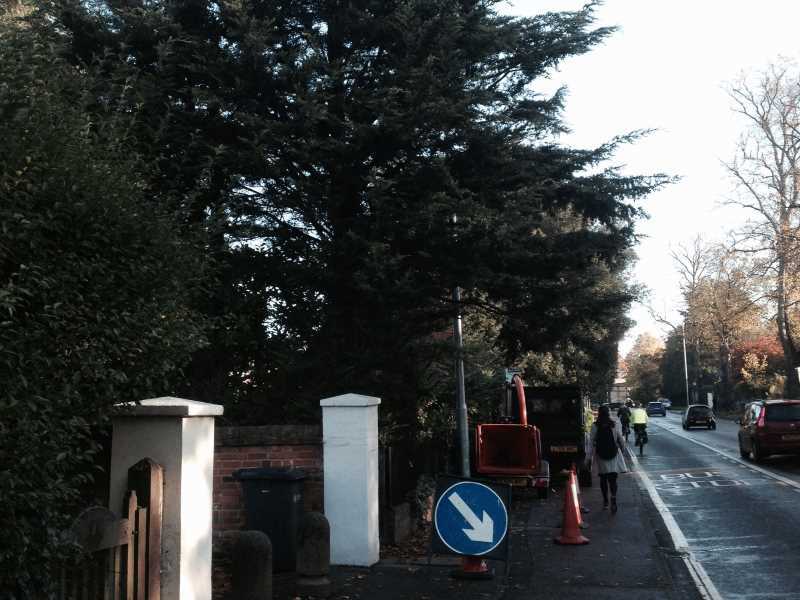 They carried out the work at very short notice and in a very safe manor, would recommend. 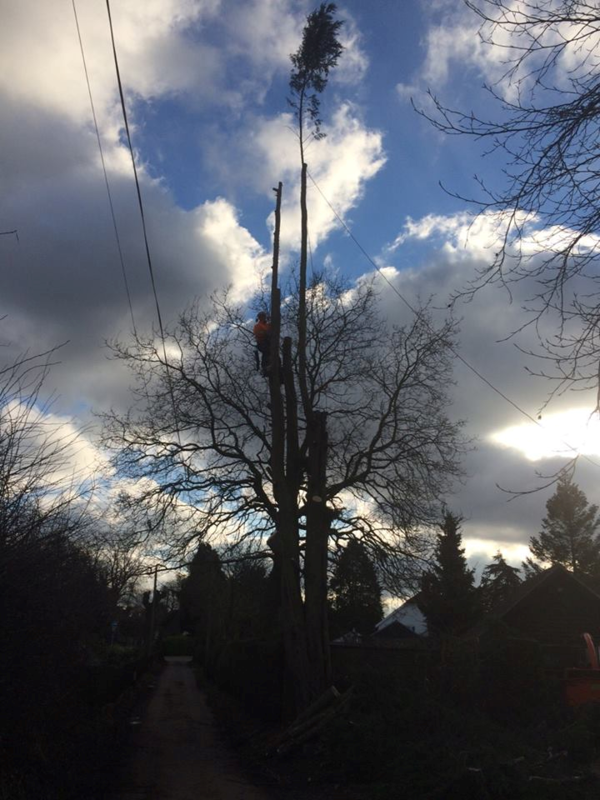 Please contact us for all your enquiries or arrange a free quotation; we are available 24/7 for call outs but due to the nature of our work we cannot always get to the phone so leave us a message and we will respond ASAP.